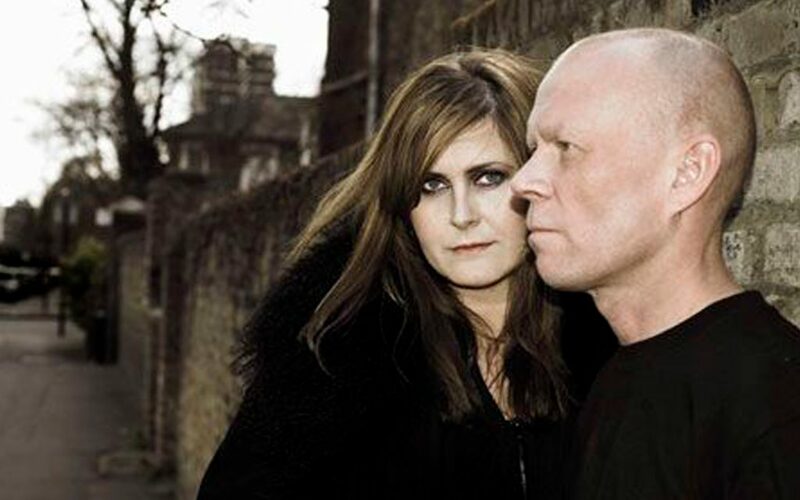 Tom Horan sees the influential synth-pop act Yazoo reunited in Copenhagen. Tom Horan, The Telegraph, May 29 2008. So said Alison Moyet as she reacquainted a conference centre of adoring Danes with one of the most memorable songs of the 1980s. Composer Vince Clarke pressed a button on his computer console and for the first time in 26 years Yazoo – one of the most influential groups in British pop music – performed the sad and beautiful Only You. 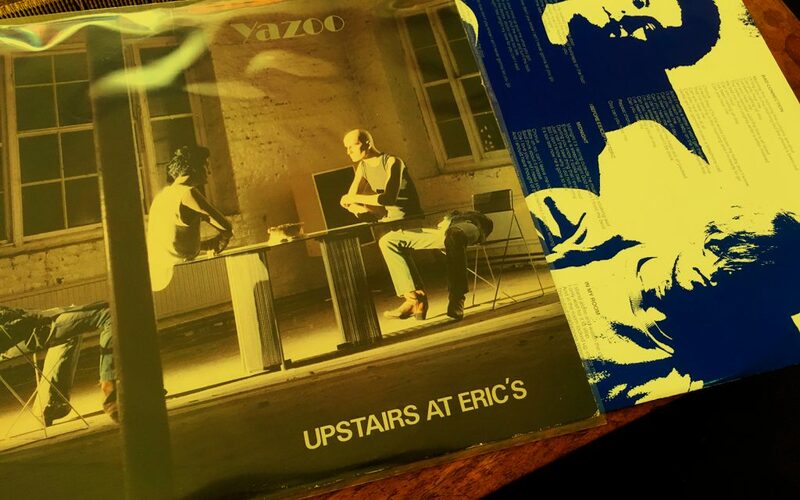 A Basildonian with a gift for imbuing electronic music with soul, Clarke formed Yazoo almost by mistake. Having left another key synth-pop band, Depeche Mode, in 1981 after just one album, he feared he would have to get a proper job. But his record label loved the demo that he and Moyet made of Only You and put it straight out. The song went to number two (later going to number one with the Flying Pickets), and the duo’s striking sound and appearance made them instant stars. After just two albums and a handful of shows, however, they went their separate ways. Some reunions make the heart sink. But Yazoo back together? People hear the news and feel a warm glow. If the odd couple perform even half as well as they did here it will be treat when the tour hits the UK. I say perform, but Clarke is the master of the anti-performance, so inert at his keyboard he makes the quiet one from the Pet Shop Boys look like Iggy Pop at a barn dance. Nor does Moyet exactly set the stage alight. One can see why she kept goal in the school hockey team. 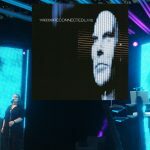 Yet on songs such as Don’t Go and Winter Kills, buoyed by Moyet’s dark, mellifluous voice and Clarke’s raw synthesiser sounds, the two of them mustered an extraordinary intensity. The pair had also invested in a striking and original set-up of lights and projected imagery, which slid imperceptibly from descending Space Invaders to the time-lapse opening of rare orchids. At one point Moyet sat in an archchair. At another they left the stage and a vintage ree-to-reel tape recorder played an eerie instrumental. Much of the biggest-selling music in the world today combines computer sequences with soulful female vocals, but when Clarke and Moyet appeared in 1981 there was nothing like them. As they breathed new life into their short but immaculate back catalogue, Clarke the glacial controller, Moyet the bringer of warmth, their pioneering contribution to pop music could be heard in every song. Reprinted without permission for non-profit use only. 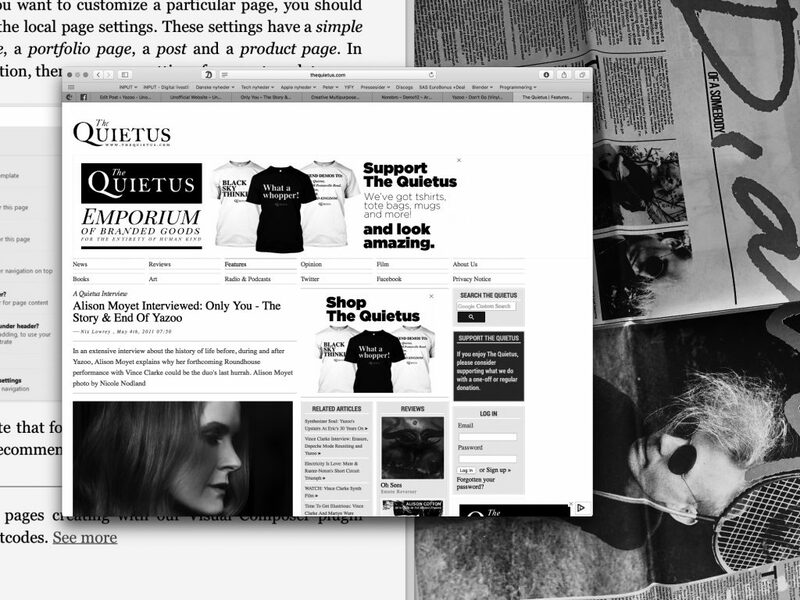 See the original article here: The Telegraph.